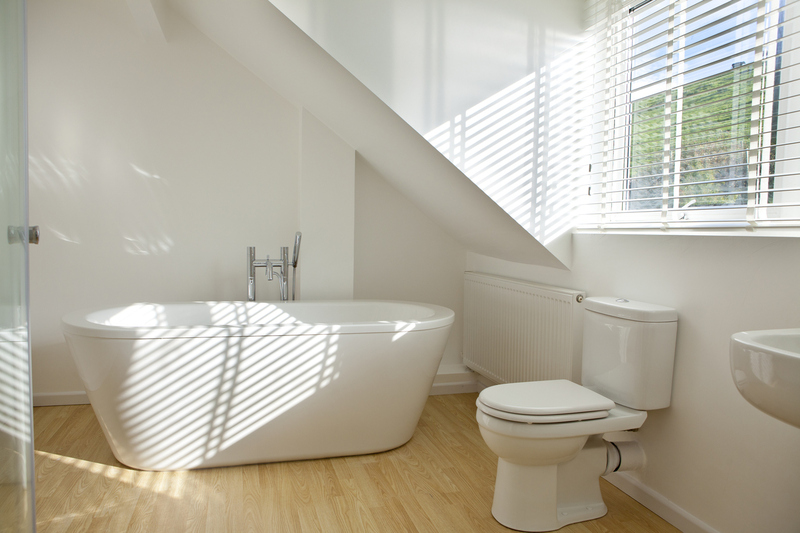 Modern bathrooms have become an area to retreat to after a stressful day or a quiet place to gain some solitude. As such, they have moved to the forefront of people’s minds when it comes to making choices on house purchases and renovations. 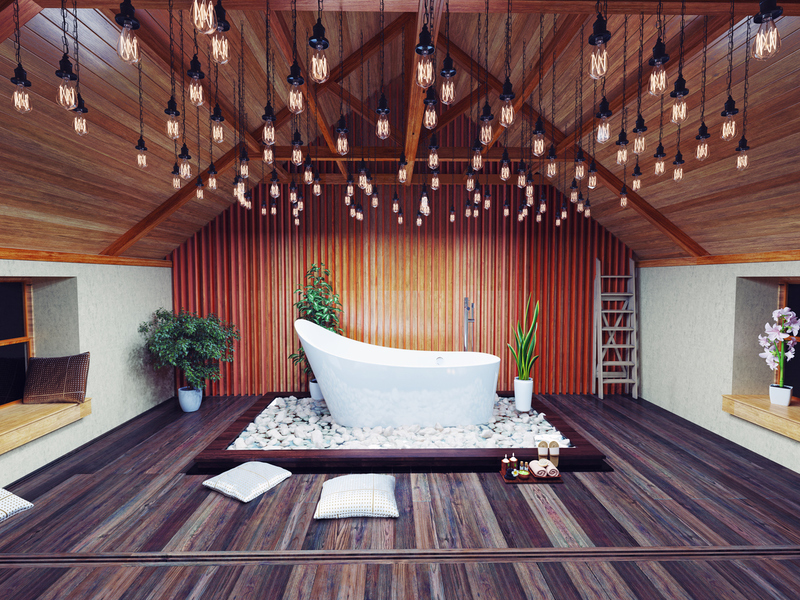 There are many aspects to consider when it comes to your bathroom, but one topic that often gets overlooked is the lighting. In order for your bathroom to become the perfect getaway spot, you need to consider the lighting styles that best suit your intended use. We’ve put together some of the more popular types of bathroom lighting to help you effectively use layered lighting and avoid the mistake of making it an afterthought. Using natural light provides any room with a sense of visual comfort that artificial light has a difficult time achieving. Window size and placement as well as skylight use are important factors to consider when trying to gather enough natural light to keep a room well lit. Due to potentially overcast weather, natural lighting is best utilized when supplemented by other smaller light sources, such as fixtures on the ceiling or mirror lighting. 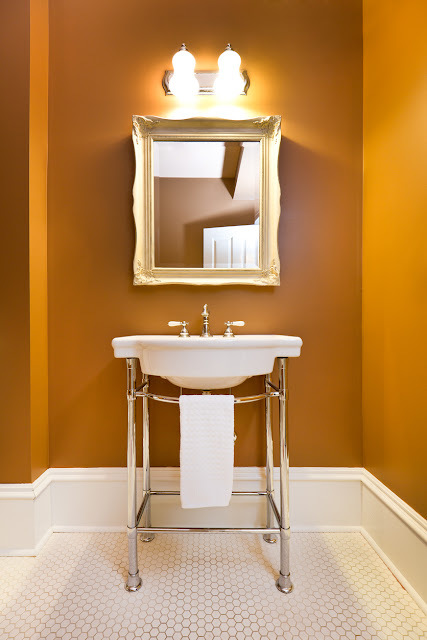 Lighting to on the sides and above the vanity help to accentuate it as a centerpiece to the bathroom or powder room. It is also crucial in allowing users to see themselves in the mirror, so we recommend that vanity lighting occur from all angles. Brightness isn’t the only aspect that should be considered when it comes to vanity lighting. Think also of how it will contrast with other light sources in the room and its relative position. Typically used as the main source of lighting in bathrooms, overhead lighting used in combination with other sources can really tie the bathroom together. Use modern or eclectic forms of overhead lighting like low-hanging bulbs to give your bathroom a diverse set of lighting fixtures. It also brings a unique sense of ambiance that more traditional lighting fails to achieve. A well-planned bathroom with layered lighting utilizes multiple sources of light and includes ample lighting for the vanity and task uses. Layered lighting lets you set the mood and have a comfortable vibe in the bathroom that allows for relaxation and serenity.